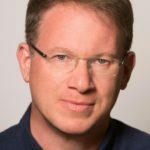 Journalist Jeffrey Goldberg, editor-in-chief of The Atlantic, will speak at Johns Hopkins University’s commencement ceremony on Thursday May 23. Goldberg has been the top editor of The Atlantic since 2016, a role he took on after nine years there as a national correspondent specializing in foreign affairs and national security. As editor-in-chief, he is working to ensure that the legacy of the 162-year-old magazine remains “a big tent for political discussion”— a place where readers can gather facts and listen to what people on both sides of an issue have to say. Such civil discourse needs a home now more than ever, at a time when Americans are increasingly divided by their polarized political views, Goldberg says. Goldberg will receive an honorary doctor of humane letters degree at the commencement ceremony, where about 1,500 Johns Hopkins undergraduates, graduate students and professional students will claim their degrees. Much of Goldberg’s writing has focused on American national security and the Middle East. He is the author of Prisoners: A Story of Friendship and Terror, which was hailed as one of the best books of 2006 by multiple publications, including The New York Times and The Washington Post. Before joining The Atlantic, Goldberg served as a staff writer for The New Yorker. Earlier in his career, he also wrote for The New York Times Magazine, and New York magazine. He has interviewed numerous world leaders, including Barack Obama, Hillary Clinton, David Cameron, Fidel Castro, John Kerry, Benjamin Netanyahu, and King Abdullah of Jordan, among many others. Goldberg is a three-time finalist for the National Magazine Award for Reporting, and won the award in 2003 for his coverage of terrorism. He is also the recipient of the 2005 Daniel Pearl Prize; the winner of the International Consortium of Investigative Journalists prize for outstanding international investigative reporting; the Overseas Press Club award for best human-rights reporting; the Abraham Cahan Prize in Journalism; and the Edward Weintal Prize for Diplomatic Reporting. In 2001 Goldberg was appointed the Syrkin Fellow in Letters of the Jerusalem Foundation and in 2002 he became a public policy scholar at the Woodrow Wilson International Center for Scholars in Washington, D.C. He recently served as a fellow of the American Academy in Berlin, and of the Carnegie Endowment for International Peace. The commencement ceremony, which will be held at Royal Farms Arena in downtown Baltimore, is not open to the public.